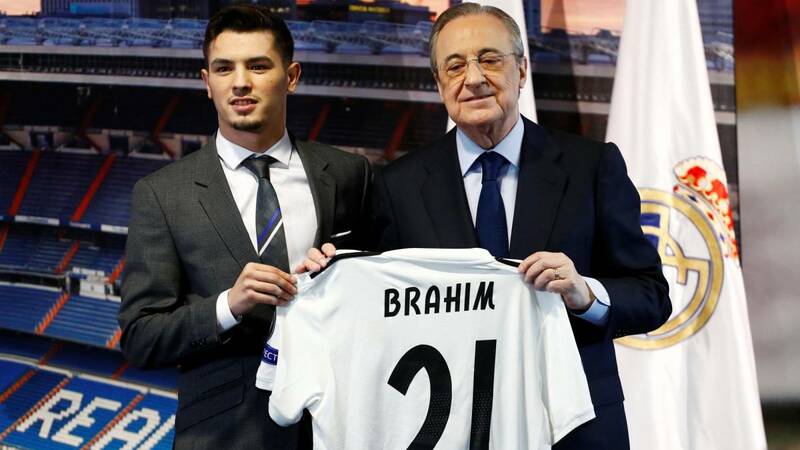 Real Madrid president Florentino Perez says the club has signed a “special talent” after concluding a deal with Manchester City for Brahim Diaz. The Spanish club acquired the 19-year-old midfielder for around £15 million, though the deal also includes around £6.5m in add-ons and a 15% fee if he is sold on. “This is the most important day in my life,” Diaz told reporters on Monday. “I have joined the club which I have dreamed of playing at since I was a child,” he added. Diaz, who joined Manchester City from Malaga in 2013 aged 14, has signed a six-and-a-half-year contract that runs to the summer of 2025. He only made 15 first-team appearances during his time at City and played just four times this season. Diaz is the latest young player to leave Manchester City in recent seasons, with departures including winger Jadon Sancho, who has starred for England since moving to German side Borussia Dortmund for £8m in 2017. Following his move, the club have backed their youth policy and concluded Diaz would not displace the likes of Raheem Sterling, Leroy Sane and Riyad Mahrez in the City team.